Put away the blowtorch and close that bribe briefcase; there might be a new way to force a confession out of someone (too dark?). Xpression is a new AR app from the same team that brought you social VR app, EmbodyMe. It’s similar to the facial scanning avatar messaging you can see on Apple’s iPhone X, only instead of virtual critters the app uses real life videos to let you embody just about anyone you want to be. Simply hold your face up to a phone’s camera and say something; the app will read your lip movements and then mirror them on the given video of a person, making it look like they’re saying what you’re saying. Check it out in the trailer below, which features a certain US President that knows a thing or two about fake messages. The tech looks slightly wonky, but that’s part of the fun. The developers are also looking to add video chat support, post-processing and more features in the future. The app is available now on iOS and works on iPhone 6s or above. 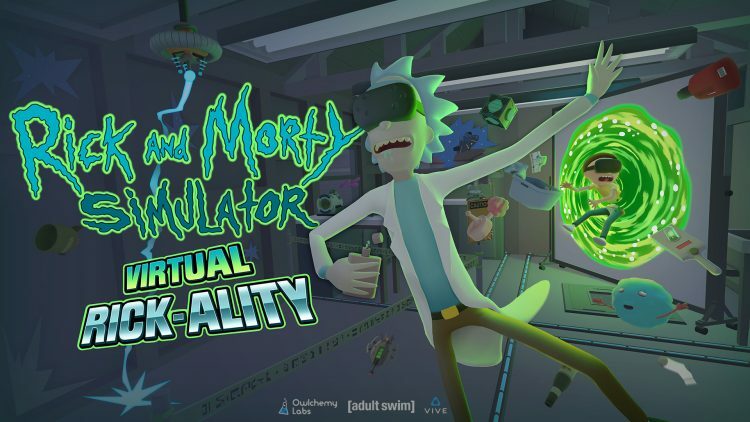 Owlchemy Labs’ Rick and Morty: Virtual Rick-Ality has dominated April 2018’s PlayStation Store charts for PSVR. The tie-in game, which released on PSVR on April 10th, nearly a year after the PC version, climbed to the top of both the EU and US charts for last month. This is especially impressive considering the game had both a physical and digital release and the PS Store charts only track the latter’s sales. We don’t know exactly how many copies the game shifted, though we’re not too surprised to see it perform so well given the game’s quality, the success of Owlchemy’s last game, Job Simulator, and the fact that April was an otherwise pretty quiet month for the headset. Another new release, Crisis On the Planet of the Apes, came in at the fourth spot in the EU and fifth in the US. Tripwire Interactive’s excellent Killing Floor: Incursion, which launched towards the end of April on PSVR, came ninth in the US, but didn’t chart in the EU. Other than that, the charts feature the usual suspects like Superhot VR, Job Simulator and Moss, the latter of which is also getting a physical release soon. Looking ahead for the month there are some promising launches to come on PSVR, including To The Top. Mostly, though, we’re waiting for Sony’s E3 2018 press conference in June to see what’s next for the headset. Fingers crossed it’s something big. Baobab Studios’ latest VR movie, the John Legend-produced Crow: The Legend, just revealed an all-star cast ahead of its premiere at Cannes Next this weekend. We already knew that Legend himself would play the titular role in the VR animation, but Baobab recently confirmed that Oprah Winfrey would be joining him as The One Who Creates Everything By Thinking. The piece is also set to star Ready Player One’s Tye Sheridan as Turtle, Freakish’s Liza Koshy as Owl, Sarah Eagle Heart as Luna, Constance Wu as Skunk, and Star Wars: Rogue One’s Diego Luna as Moth. That’s an impressive cast for a VR experience. Baobab co-founder Eric Darnell is directing the experience. Darnell previously directed the Madagascar series for Dreamworks as well as Baobab’s first two VR films, Invasion and Asteroids. The feature’s first chapter will be taking over all five of the VR screening booths at Next on May 12th. Attendees will get a first glimpse of the story inspired by a Native American legend that itself tells the origins of the crow and the sacrifices the creature must make in order to help the world around him. Baobab is promising an interactive experience that viewers will be directly engaged in. The second chapter in the experience will debut later in the year. Vertical Robot’s super-promising Cold War-era sci-fi adventure, Red Matter, is very nearly here. The studio today confirmed that the game would be launching on the Oculus Rift in two weeks’ time on May 24th. A pre-order page is already up on Oculus Home, offering a limited-time discount to get the game for $29.99 instead of the usual price of $34.99. A new trailer to celebrate the release date has been revealed too. Red Matter is definitely one you should be looking out for. The game takes place is a dystopian version of the Cold War. As an astronaut of the Atlantic Union, you’re sent to an abandoned base on one of Saturn’s moons in search of a secret research project. In order to make your way through the facility, you’ll need to solve puzzles and study the environment using a number of different tools. Based on the trailer, though, Red Matter looks like it will be a fascinating, atmospheric discovery. We’re hoping for something that really roots us in the experience. The post Mercedes-Benz Looks To Replace Owner’s Manual With AR App appeared first on VRScout. The post Design Your Own VR Tour With Google’s ‘Tour Creator’ appeared first on VRScout. Google appears to have hidden some of the most compelling features of Lenovo’s Mirage Solo — the $400 standalone VR headset which debuted last week. Among them: the headset appears perfectly capable of running anything from the Google Play Store in a 2D mode. I just installed PUBG Mobile on the Mirage Solo and was able to get into a match and control movement, albeit painfully, using the included Daydream controller. We still need to try connecting a controller over USB to see if the game can be properly controlled while in VR. I’ll post instructions separately to get any Android app you want installed on the Daydream headset. I’ll detail this in a separate post as well, but in addition we’ve discovered that once a developer menu is activated on the headset a number of interesting options are revealed. This menu lets you turn on screen recording and screenshots, and one option forces apps to work with six degrees of freedom. Yet another option removes the safety restrictions and allows free walk-around movement for large spaces. I walked maybe 40 feet outside in Daydream’s home area then turned around and walked back with no tracking glitches. Unity had some big VR news to share at its Unite Tokyo conference earlier this week. According to tweets from the event, which wasn’t livestreamed, the engine maker showcased the latest progress with its Carte Blanche VR creation suite during the show. Not only that, but Unity’s Timoni West confirmed the platform will release to the public this October. For those that don’t know, Carte Blanche is different to Unity’s Editor VR, which lets developers jump into their games through headsets to edit scenes and use specialized third-party tools. The hope is that, one day, Editor VR will let experienced Unity developers create even better experiences while a new wave of developers are attracted to the platform. Carte Blanche, meanwhile, wants to get everyone creating in VR regardless of skillset. To do this, the platform presents a simplified UI with a wide range of pre-made assets. 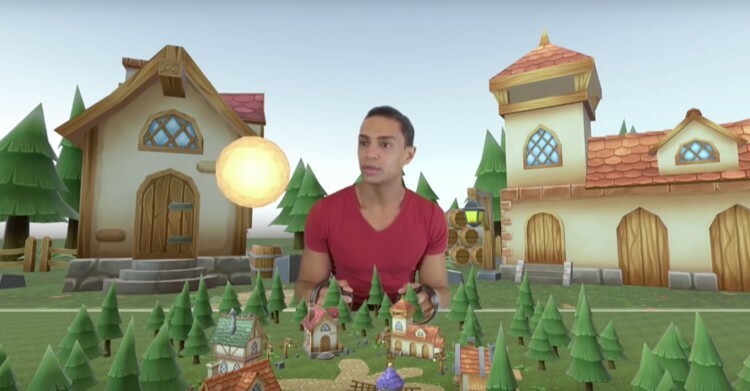 As can be seen in images of West’s demo, in which the developer appeared to make a cake-themed world, the user jumps into VR and then picks up cards the represent objects like platforms to stand on. These objects can then easily be placed in the game world, represented on a board in front of the user. As they build, the user can jump into these worlds at human scale to play through their levels and test them out. The result is an accessible world-building system that might not give creators a huge amount of personalization in terms of look and feel but still gets them making VR content faster than they ever have before. It’s great to hear that Carte Blanche is finally nearing release, though there’s still much to learn about the platform, like how we’ll share our experiences and implement different kinds of mechanics. Ultimately, Unity CEO John Riccitiello sees the platform as something similar to Sony’s LittleBigPlanet franchise in terms of accessibility, though also thinks that truly unique accessible VR creation may need both Editor VR and Carte Blanche to hand. Unite comes to Berlin in June, so it’s possible we’ll hear more about the platform around then. As for release, we wouldn’t be surprised if the platform launched during Unite’s LA coference in late October. It’s been a long time since I’ve played Star Trek: Bridge Crew. That isn’t to say that I don’t like the game — I stand by my mostly glowing review I wrote last year — but in this line of work it’s tough to play a game much after you’re done reviewing it. There are just so many new things always coming out right around the corner. So even though we at UploadVR have had a ton of fun in Bridge Crew, we had to set it aside for games like Skyrim VR, most recently Beat Saber, and others. But now with brand new official DLC in the form of The Next Generation’s Starship Enterprise D on the way soon including that ship’s iconic bridge, a brand new player race, and a brand new role to play, it’s time to squad up and set our coordinates for the stars once again. When I met with Brian Tate, Creative Director on Star Trek: Bridge Crew at an Ubisoft preview event, he told me that The Next Generation’s bridge was by far the most-requested bridge in the entirety of Star Trek’s long legacy. The teams at Ubisoft and Red Storm worked closely with CBS to reconstruct the setting in VR, going to painstaking lengths to reconcile differences with the ship’s exterior over the course of various seasons and even accessing ship blueprints, digital models, sound archives, and more from the CBS vault. This new bridge will be fully playable in the randomly generated “Ongoing Voyages” game mode, along with the Original Enterprise and the newly crafted Aegis, but not in the main campaign — that remains as an Aegis only experience. In addition to this new ship, the Engineering role is being evolved into the Operations (or Ops) role for TNG’s bridge and there will even be a brand new race for players’ to pick at avatar creation: the Androids. In the new Ops role you’ll do a lot of what the Engineer did already by adjusting power levels, but then you’ll also have to assign crew members to different areas of the ship to perform repairs and provide boosted features. It’s all about foresight and planning and can actually be one of the harder roles in the whole game to play. On top of all of that, if that wasn’t enough, the Ongoing Voyages mode is getting improvements as well. Some improvements, such as improved mission shuffling and generation, will release as a free update for everyone, but then the more advanced improvements are included only as part of TNG’s DLC. République arrives on mobile VR platforms with the same mission it made for itself on smartphones five years ago now. Camouflaj’s stealth adventure wants to answer the call for ‘full’ games on a platform where there are relatively few. The episodic series has always been eager to impress with near console-quality visuals (for the time) and a rare focus on story for a mobile game but, for all its flair, the relatively pedestrian gameplay kept it from earning the same praise as the games that inspired it. A fresh coat of VR paint doesn’t do too much to change that. There are definitely stronger elements to this version of the adventure, which arrives in VR as the complete five-episode package. There’s a better sense of connection between you and protagonist Hope, for example, when you transition the security camera-style perspective from the flat screen to a virtual world. The way the world pops out in front of you gives the action more immediacy, like what you’re watching is really unfolding in front of you rather than occurring miles away as you watch from the safety of a CCTV camera. It’s just a shame that more isn’t done to strengthen that connection; Hope rarely looks up to cameras to acknowledge your presence, for example. That’s especially true of the game’s cutscenes, which are largely told through a virtual smartphone screen. Despite admirable efforts on Camouflaj’s part, there’s definitely a sense that République was unavoidably shoehorned into VR. It’s a shame considering the theme of hacking using bleeding-edge technology suits the platform quite well and could be better explored in a native experience. Still, the core concept behind République remains just as engaging as it did on any other screen. The Metal Gear-inspired sneaking is straight-forward but involving, often asking the player to make snap decisions about where to hide Hope and how best to avoid detection. One nice touch is to encourage players to take risks by grabbing items off of patrolling guards as they look the other way, though it’s usually just for bonus easter eggs rather than genuinely helpful items. With so much on both Go and Gear appealing to a more casual audience, it’s nice to sit back and lose yourself in a console-level gaming experience for a change. You won’t find many other experiences on Go or Gear offering eight hours of story-driven content. With these transitions, though, comes some inconvenience. Playing the game with a motion controller, for example, has some intuitive charm, but quickly becomes finicky in tight spots. Pointing to exact spots for Hope to walk to can often be a struggle and most of the times I was detected by an enemy it was the controller that was to blame. That is according to the Korea Times, which cites a Samsung official familiar with the company’s plans. Apparently, this new headset is a premium, wireless device that is being made in partnership with Microsoft. If true, it sounds like this could be the next step in the pair’s work together in the headset space. Last year, Samsung released the Odyssey PC VR headset under Microsoft’s Windows-based ‘mixed reality’ banner, which was easily the best of the five headsets featured in that line. This new device sounds like it could be using Microsoft’s reference designs not just for VR but also its HoloLens mixed reality headset too. The report notes that Samsung will debut this new device at the IFA trade show in Berlin this August. It was nearly a year ago now that we saw a prototype standalone VR headset from Samsung named the ExynosVR III. The device boasted a 4K display, eye-tracking and possibility even inside-out positional tracking. Could this rumored device be the consumer version of that prototype? We’ve reached out to Samsung to ask after this report. We’ll let you know if we hear back. A version of one of mobile VR’s best games tailored for Oculus Go is now available for $2.99 on the Oculus store. Smash Hit was originally a touchscreen game for Android and iOS seeing players shoot balls at glass obstacles. The game combines realistic physics, music and the simple mechanic of straight forward constant movement for an experience that can be at times challenging, exhilarating and even relaxing. It was updated for Gear VR and became a staple of the young platform. When Oculus Go launched last week Facebook accidentally posted the Gear VR version of the game that was playable on launch day. The company took it down, however, expecting a version optimized for Oculus Go. That version appears to have arrived and is now available. If you have an Oculus Go, I highly recommend grabbing Smash Hit. This year’s Google I/O developer conference might not have had much to share about VR, but one of the biggest reveals of last year’s event is now available to all. Last week Google made its Seurat VR tool open source for anyone to use. For those that don’t know, Seurat is designed to render high-fidelity scenes on mobile and standalone VR headsets in real time. The system was already used to achieve PC-level graphics in a Star Wars VR experience seen last year as well as Blade Runner: Revelations, which launched alongside Google and Lenovo’s standalone VR headset, the Mirage Solo, late last week. Seurat achieves this high quality by identifying assets and resources that aren’t immediately obvious to a VR user and then stripping the given scene of them, freeing up processing power to produce higher quality textures and more. As Google’s VP of VR and AR, Clay Bavor, noted in the tweet above, Seurat helped turn one scene in Blade Runner from 45 million polygons into 300,000, drastically reducing demand on the phone. This could be a vital tool in helping mobile VR catch up with its more powerful PC-based siblings, which is especially exciting as headsets like Oculus Go start to make the medium more accessible than it’s ever been before. Seurat isn’t the only area in which Google is looking to push increased fidelity in VR, though. Earlier this year the company also released a PC VR experience showcasing its work in lightfield capture that recreates real-world environments with stunning realism. Exactly which of these many technologies does end up being widely adopted by developers remains to be seen. The post Google Teases New AR Features Coming To Google Maps & Lens appeared first on VRScout. Google’s ARCore for Android is getting a long-requested feature: shared experiences. ARCore 1.2, announced at I/O today, will add a new feature called Cloud Anchors. As Clay Bavor, VP of AR and VR at the company explained to UploadVR, this allows multiple smartphone users to view the same AR content anchored to the same physical space. You could project a chess board onto a table and sit either side for a realistic match, for example, or view virtual screens from different angles. Crucially, Cloud Anchors are cross-compatible with iOS. As an example of what’s possible with the platform, Google is launching a new app called Just A Line, which Bavor described as a “simplified Tilt Brush” in which multiple users can paint in the same space. That’s not all that’s new in ARCore 1.2, though. Google is also introducing Sceneform, which allows Android java developers to add AR experiences to their app with just a few lines of code. There’s also updates to scene understanding, including ‘vertical point detection’, which identifies textures, walls and other features as targets to improve stability. Finally, there’s augmented images, which allows developers to upload up to 1,000 images that can be recognized by your phone and trigger AR experiences. “You can do things like hold a phone up to a toybox and actually see inside the toybox,” Bavor explained. ARCore 1.2 is rolling out today.